Krech Exteriors is a certified James Hardie® Fiber Cement contractor. We install the full line of high quality Hardie siding Minneapolis residents need to make their homes more energy efficient. James Hardie is the world’s leading fiber cement siding product and system, and Krech Exteriors’ contractors are full certified to install it. The HardieZone™ System provides siding with specific performance attributes relative to the climate where the product is being used. So say goodbye to the days of one-siding-fits-all. James Hardie now gives Krech Exteriors the ability to put the optimum siding on a home in Minneapolis. 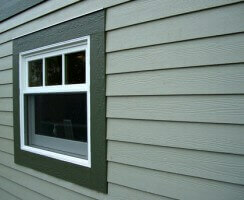 So if you are in the market for siding, Minneapolis, Krech Exteriors has you covered! Call us today to set up a FREE in-home estimate on your next St. Paul or Minneapolis siding project.